Can We Save Net Neutrality in Athens With a Municipal ISP? The internet and the content available through it must be available equally to all. Last week’s vote by the FCC to repeal the Net Neutrality policy puts that equal access at risk. By repealing Net Neutrality, the FCC has given internet service providers (ISPs) the ability to manipulate access to websites and content. ISPs can then use this manipulation for profit and to control information. ISPs will be able to give preferential treatment (faster loading of websites and content) to companies and individuals who pay them and also to users, like you, who will have to pay extra to maintain the speeds they already enjoy. They will also be able to throttle and slow down websites or content that they (or their allies) do not like (such as this content you are reading right now). This gives them the ability to control what information reaches you and everyone else in the United States. This can lead to reinforcing cycles of poverty, racial inequality, and political oppression. Athens has the opportunity to create a public ISP so that access to the internet and internet content is equal! 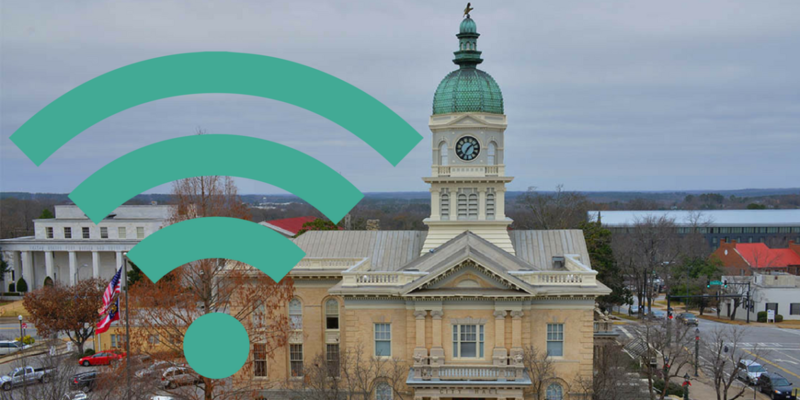 Cities such as Chatanooga, TN have done this with great success and many other municipalities are now considering it after the Net Neutrality repeal. We want to hear from you! What do you think about having a publicly owned Internet Service Provider here in Athens?